OK, right up front we need to crow how proud we are of our amazing, rainbow colored, humanely raised, free range, heirloom chicken flock! We are able to take a few more orders for eggs again, after being back ordered for half a year. They enjoy a high volume of our own leafy greens and gobble up an amazing quantity of left over produce box produce. We also grow “fodder” from barley seed. We augment their diets with typical chicken feed, although they prefer the stuff we grow here over that. When we recently announced to our CSA members that we now offer our eggs as an “add-on,” we were expecting 5 or six families that would choose the option. Really. 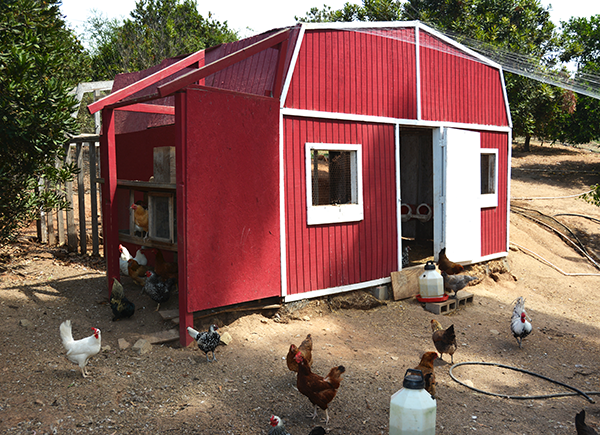 We’ve raised chickens as pets for many years, and doing so isn’t a profit center for us. Which is why only CSA members can order our eggs. Anyway, it’s the “humanely raised” part of Humanely Raised Chicken Eggs that really ups the anty. Even organic egg growers wack the heads off of their older hens as their yields wane. It’s a feed vs. production decision, and doing so makes dollars and cents but that part of egg production ruins it for many vegetarians and animal lovers. It’s easy to order our beautiful eggs, just go to “Produce Box Order Form” and submit with your initial Produce Box order, or “add” to an existing order, or just email us: csa@morningsongfarm, identify yourself and ask us to add eggs to your order. True story: back in the day when I was married and living in the suburbs of San Clemente and commuting to the family farm…I raised our chickens against city ordinance law right there in San Clemente and then brought them; squawking and clucking to the farm when I (inevitably) was issued a San Clemente “chicken ticket.” The kids couldn’t bare to leave the cute babies at the farm all week, only seeing them on the weekends, and I truly have always enjoyed raising baby chicks. Even today, so many years later, I get such a kick out of watching their antics. 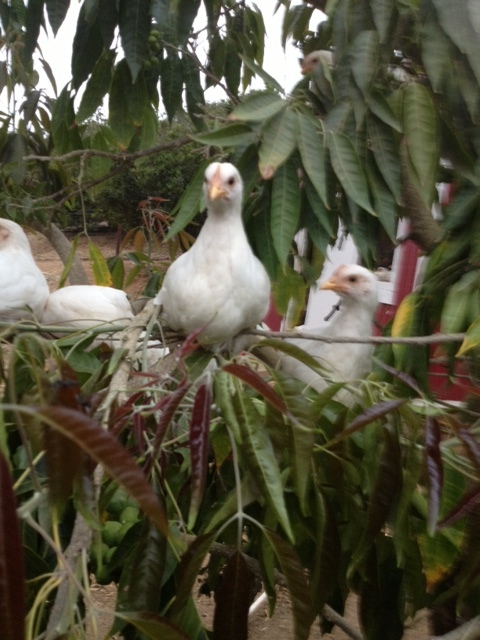 Often a quick feeding turns into a chicken sojourn as I sit under a tree of their enclosure and watch them enjoy life. So, I’d pick up just hatched babies at the SC post office, and raise them in one of way too many bathrooms in that house that always felt more like a hotel than a home. No, I did not fit in, demographically, as chickens and toddlers romped in my enclosed front yard, during the day, and then we’d go through the drill, of herding the babies into a crate that I’d put in a bathroom at night. As they got a little larger, the crate wouldn’t do, and so I chose an enclosed shower to keep them in at night. In the early days, I had no idea how chickens developed, and so went through quite a panic when one morning I discovered two dozen half grown chickens missing from the shower floor. (the call to my then-husband to admit that two dozen pooping chickens had gone missing in his house did nothing to ameliorate the growing distance between us;) As it turned out, had I just looked UP, I’d have discovered the chickens peering down wondering what all the fuss was about. They had all discovered THAT very day, that they could fly, enmasse, and were roosting on the top of the shower’s expansive glass shower enclosure. Despite the four acres our home was situated on, someone offended by our outlier activities eventually complained each and every time I raised a new flock over the years, and the City of San Clemente would dutifully send out an “enforcer” to come pay a visit with yet another chicken ticket that my ex would use as demonstrable proof I was nuts. And so, the new flock would be moved to the farm. Still got chickens. Still may be nuts.